Hey, can I do something to improve my grade? Um...it's MAY; Sorry, heh-heh. 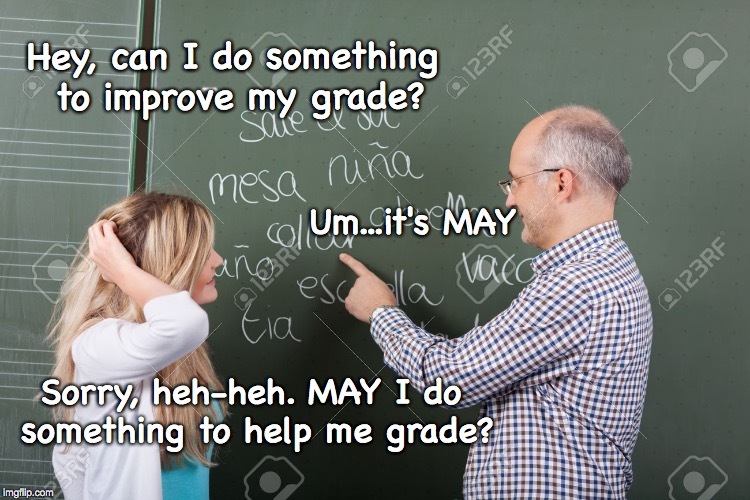 MAY I do something to help me grade?